Our old windows were single pane with all the glazing coming off, so anything would have been an improvement. Our new windows are triple pane with argon gas. It should make a huge difference. We changed the configuration of the living room unit. 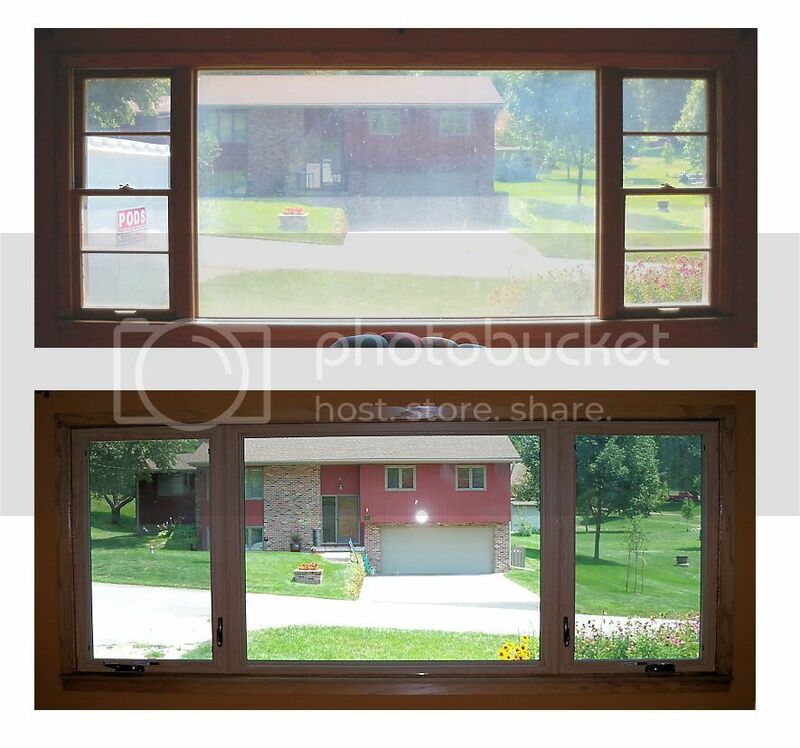 The center window stays fixed, but we changed to casement windows on the side with a 25-50-25 ratio to get more air coming in the side windows. Top photo is before, bottom after. 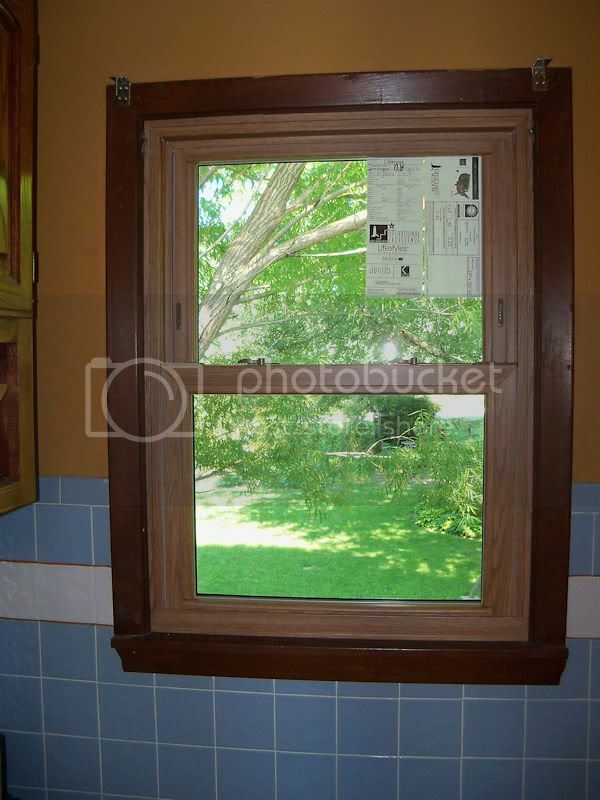 All our other windows are double hung, oak interior, white exterior. As we update the interior, all the trim will eventually change to oak. They're coming back tomorrow to wrap all the exterior trim then I can take some exterior shots. Those windows are looking good. I like the oak they've used. Looking forward to the exterior shots tomorrow.